Polly Toynbee is a Journalist, Author and Broadcaster. A Guardian columnist and broadcaster, Polly was formerly the BBC’s social affairs editor. 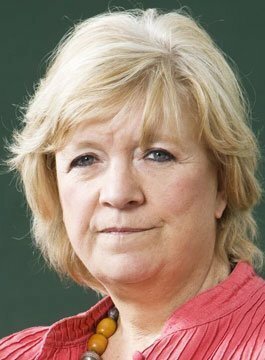 Born on the Isle of Wight, Polly Toynbee read history at St Anne’s College, Oxford but dropped out before completing her degree course. She went into journalism, and has also worked in television, being BBC editor for social affairs 1988-1995. Polly has written for The Observer, The Independent and Radio Times and edited The Washington Monthly USA. Toynbee was the second daughter of the literary critic Philip Toynbee (by his first wife Anne), and so granddaughter of the historian Arnold J. Toynbee. She has won numerous awards including a National Press Award and has been What the Papers Say ‘Columnist of the Year’. For much of 2002, Toynbee took up the challenge of living in one of the worst council estates in Britain and taking whatever was on offer at the job centre. Published in February 2003, Hard Work: Life in Low-Pay Britain is a compelling, powerfully written and impassioned account of her experiences. Polly’s current book with David Walker, is Cameron’s Coup – How the Tories took Britain to the brink. Polly Toynbee is available to deliver keynote speeches and chair/facilitate events.